NEW CONSTRUCTION HOME conveniently located in a quaint 11 lot neighborhood, close to the State line. This home offers an open and inviting floor plan w/ 4 spacious bedrooms and 2 full and 1 half baths, custom interior trim, open kitchen w/ plenty of cabinets and counter space, granite tops. Tray ceiling in master w/2 sinks and separate shower and soaker tub in master bath. HUGE FROG (NOT INCLUDED IN THE 4 BEDROOMS) W/ 1/2 BATH. mudroom off of garage entry w/ coat closet and laundry room. Double car garage and deck! Home will be complete mid October finishing touches being complete NOW!! Moyock Elementary Elementary School / Public 7 1.67 mi. Moyock Middle Middle School / Public 7 1.79 mi. Currituck County High High School / Public 4 14.34 mi. Hickory Elementary School * Pre-School, Elementary School / Public 5 8.22 mi. The J P Knapp School * Elementary School / Public 4 6.98 mi. The J.P. Knapp Early College High * High School / Public 9 8.93 mi. 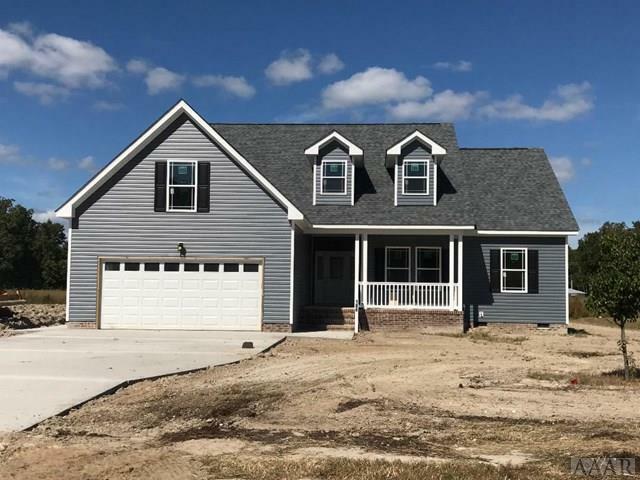 106 Dustin Lane, Moyock, NC 27958 is a 4 bedroom, 2.5 bath single family home was sold for $299,000.